By comparison to the high-stepping confidence of the Gershwin tunes, Copland’s “Quiet City,” originally written for a failed play, reflects another, more contemplative aspect of the American character. One reading holds that the longing and unfulfilled aspirations evoked by this piece warn of the consequences of not being true to one’s self, an ever-present danger in a fast-moving, ambitious society. Perhaps. However one interprets “Quiet City” (if it needs any interpretation at all) there’s no denying the work’s beauty, the result of a perfect balance between string orchestra and two soloists on trumpet and oboe. 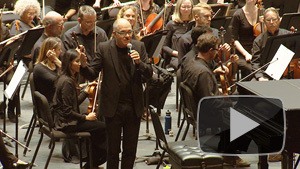 Throughout his remarks, Steven Schick notes the empathy and intricate interplay between the various sections of the orchestra, by turns tempestuous and serene as required by the score, and the absolute need to serve the music and the composers. Since its inception 15 years ago, UC San Diego Jazz Camp has stayed focused on a single goal: ensuring the continued vitality of jazz music by identifying, instructing, and nurturing new talent. The camp accepts students ranging in age from 14 to adult, and from a variety of educational or vocational backgrounds. Prior to attending the camp, students attend placement auditions based upon which they are assigned to one of two proficiency levels, intermediate and advanced. Most of the camp’s instruction is designed for one of these levels. 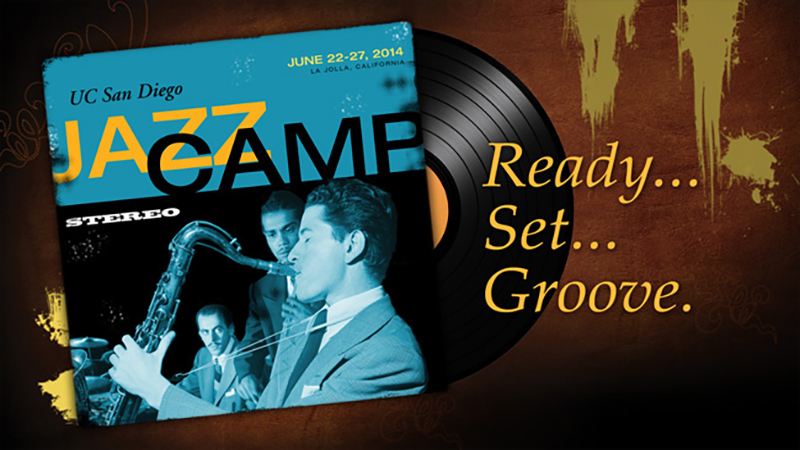 The camp’s faculty is made up of internationally renowned musicians who are experts in a variety of jazz stylings, from be-bop to contemporary open-form. The rigorous and immersive curriculum covers a broad range of topics and techniques, including Jazz Improvisation, Listening to Jazz, Master Classes, and individual lessons. There is a particular emphasis on jazz as a performance-oriented art form through participation in small ensembles and informal jam sessions, and attendance at faculty concerts. The week’s activities culminate in a finale concert in which all students perform as a member of an ensemble under the supervision of a faculty member. Concert sets feature an assortment of instrumental combinations and an eclectic repertoire that includes standards as well as new compositions by faculty and students. Each student gains valuable performance experience and an opportunity to shine in front of a supportive and appreciative audience. In turn, audience members have the opportunity to witness some fine young musicians at the start of their career and older musicians embarking on a new chapter. Watch UC San Diego Jazz Camp 2017 and explore the archive. 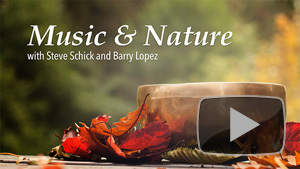 Renowned musician Steven Schick and award-winning environmentalist/author Barry Lopez may seem like an unlikely pairing until you consider the long history of nature’s influence on art, including music. From Vivaldi’s “Four Seasons” through Beethoven’s “Pastoral” Symphony and Debussy’s “La Mer” to the works of Vaughan Williams, Olivier Messiaen, and John Cage (to name but a few), contemplation of the natural environment has provided inspiration to generations of composers. In the course of their talk the two men are able to cross the interstice that lays between their backgrounds – Schick’s as an Iowa farm boy and Lopez’s as the product of a New York upbringing – to find common ground in a philosophy that rejects an elitist or isolationist view of art, instead placing it firmly in the context of broader worldly concerns (e.g., climate change). This philosophy is reflected in the movement in educational circles from STEM – Science, Technology, Engineering, and Math – to STEAM, the previous disciplines combined with Art/Design. It also plays a role in the renewed recognition that a liberal arts education has advantages in today’s workplace. An hour in the company of Steven Schick and Barry Lopez will stimulate ideas and conversations of your own – and that’s an hour well-spent. What do you know about Franz Liszt? You probably know he was a composer. You might know he was a piano virtuoso. What you may not know is that he was pretty much a rock star. Although he didn’t play rock ‘n roll, Liszt went on massively successful tours, made all the money he could hope for, and even had groupies. Liszt traveled the world playing thousands of concerts to screaming girls who fought over his velvet gloves, staying put for a few years here and there when he was having illegitimate children with Countess Marie d’Agoult or stealing Princess Carolyne zu Sayn-Wittgenstein from her husband. But Liszt wasn’t a stone cold fox entirely — much of the money he earned touring was donated to charities, churches and causes such as the Leipzig Musicians Pension Fund. At the end of his life, Liszt took the Franciscan order and quietly lived in a monastery. 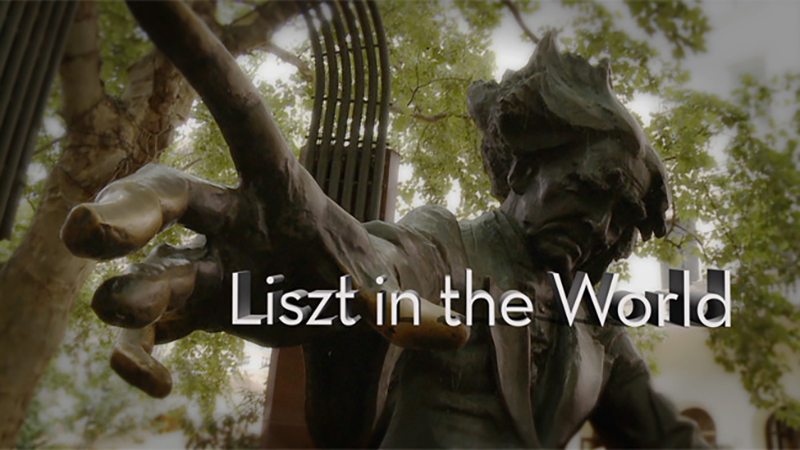 Watch Liszt in the World, as UC San Diego Professor Emeritus Cecil Lytle explores the music and travels of this classical rock star. For more videos of Liszt’s music, visit www.uctv.tv/liszt. What Is It That Makes Music Musical? Everyone has a favorite song or beloved musical artist. But have you ever asked WHY you respond to music at all? What is it that makes music, well, musical? That’s the question at the center of the fascinating six-part series “To Be Musical,” from UC San Diego’s Eleanor Roosevelt College. Join professors of music, literature and psychology as they decode the mysteries of music and its effect on our brains, our emotions and our lives. You’ll never tap your toes to your favorite song the same way again. 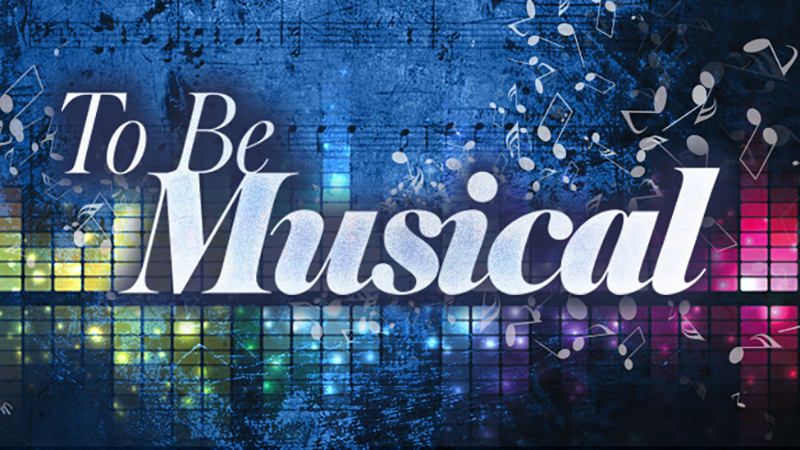 Browse the episodes at the “To Be Musical” series page or find them all below.